Scenario: You are working from home and you promised the client the document will be sent to him before, 6 p.m. You were chasing this client for months now and when he says email me the document you know he wants to buy. He will however buy from anyone who comes first. He needs a “quick supplier”, he says. You have to work hard here so you spend the whole day typing it up. At 5.45p.m the document is almost ready to send. You checked for errors and the document is good to go, but before you hit SEND your desktop computer switches OFF, in-fact everything switches OFF and you hear your wife’s snapping in the kitchen, she had her sadza on the stove. Electricity has gone and it’s probably coming back at 10p.m. And you remember Jimmy is chasing that client as well. Power outages are rampant in our country. 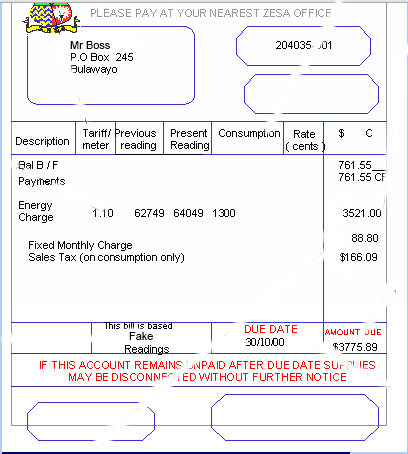 Often a 5hr blackout has resulted in the major loss of revenue. Phone operators claim they lose 20% revenue in unmade calls. With this in mind we decided to give our readers out there a step by step guide of how you can run your house completely off solar, is it possible? Yes but requires smart thinking. However if you are reading this you are already smart since you are interested in solar power. The solar panel is responsible for converting solar energy to electrical. 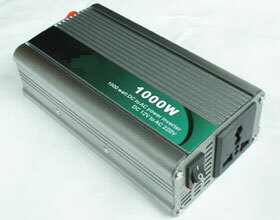 The Inverter converts 12V DC power to 220V AC power. Usually household appliances use AC power. Firstly ZESA charges $0.02 per unit for the first 50 units, thus the first 50 units cost (50 x 0.02) which equates to only a dollar. Thus in our $40 electricity bill the first dollar buys the first 50 units. On top of the first 50 units ZESA charges the next 250 units with a rate of $1.05 per unit. These units would therefore cost (250 x 1.05) $262.50, if you used them all. But my boss doesn’t pay that much that means he doesn’t use them all and he doesn’t overlap into the third category where ZESA charges $2.95 per unit for the next 700 units. So in total my boss uses 50 + 37.14 = 87.14 units per month. Wow he is so energy efficient. 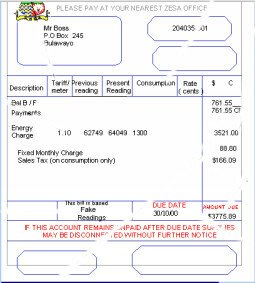 This bill shows this client (Mr Boss) used 1300 units. That is 1300kWh. Phew, if I was Mr Boss I’d sweat. 3. The third and more laborious approach. If you have no electricity at all where you are, that means you don’t buy any units and you don’t receive any electricity bills. So how do you calculate the amount of energy you need? Still easy but a bit longish. Almost every gadget that you have in your house has a power rating or label on it. This may be in the product’s front or at the back. The amount of energy the product consumes is equal to its power rating times the number of hours the product in actually ON. In the case of a 100W bulb that is switched ON for 6hrs daily. This bulb alone consumes (100W x 6hr) 600Wh worth of energy. The laborious part in this method is going through your whole house noting down each component that uses electricity, its power rating and the number of hours it is switched ON during the day. After this you multiply all power ratings times their hours of use. That leaves you with energy consumption per each gadget. Lastly you add all the energy consumptions to get your total daily consumption. To make an example I asked my boss about his electrical gadgets and this is the list I came up with (or so he says). The power ratings and hours of use above are rough estimations, don’t sue me if you go by them. However ZESA in their good heart provided us with a more precise list here. Go find out how much power your gadgets use. Power optimisation is just a fancy way of saying let’s cut down our current consumption by getting rid of some huge energy “gobblers”. These energy gobblers consist of things like stoves, microwaves, geysers and anything else that has a power rating over 800W. Simply find an alternative for it, e.g. in place of an electric stove use a gas stove, in place of an electric geyser buy a solar one (yes water does boil in them), and in place of a microwave, use a gas oven. These energy gobblers have to be removed otherwise you will cover your whole roof with solar panels. However some energy gobblers are impossible to remove hence we need to content with them, for now. Examples of these are borehole pumps and booster pumps. Well let’s just power them up with solar until someone invents something new. Replace less efficient products with more efficient ones. A refrigerator will consume more and more energy when it grows older, you have to either service it or replace it. Lights are also an easy target. What’s important for a light is the lumens/watt. This shows how bright it becomes per wat. If you still have tungsten lights, replace them with either energy savers, or lead lights they have more lumens/watt. Now that we have optimised our consumption, lets calculate how much of the solar equipment you actually need. Solar obviously converts energy during the day, calculating the amount of energy it consumes is a matter of multiplying its power rating times the number of hours it is exposed in the sun times its efficiency. A fixed solar panel is actually exposed for 6 hours during the day. Yes I admit that a day has more hours than that but when the solar is fixed it doesn’t turn to face the sun hence when the sun is at an angle the solar absorbs less energy than when it faces the sun directly. Clouds are also other factors to consider. So 6 hours is the average time the solar converts energy at a rate equal to its power rating. Remember my boss uses 2.9kWh per day. That means my boss needs 2.9/(6*0.8) = 0.606kW rated solar panel. This is a 606W solar panel. Of course he can buy one big 606W solar panel or he can use smaller panels with power ratings that add up-to 606W. If he uses smaller ones he needs to join them in parallel. If you don’t know what joining in parallel means click here. This is the unit that converts your stored DC power to AC power that is usable by the household appliances. Its rating has to be equal to the maximum power that needs to be satisfied at a given instance. For example, my boss has all four of his lights ON between 6p.m and 10p.m, during this time he also watches TV, he also plays a slideshow on his laptop while it charges, at the same time his child takes time off from homework and plays on the desktop machine. Thus this for him is the time for maximum power consumption. So his converter needs to be big enough to satisfy this demand at any given time. Inverter’s power rating = the sum of power ratings that can be used any given time. Inverter’s power rating = Lights + TV power + Laptop + Desktop. I would really just tell him to buy a 1kW inverter, because who knows someone might just decide to switch the microwave ON in addition to the already functional units. Thus it’s safer to buy a converter large enough to power everything at once, but that may be expensive, so this approach is more pocket friendly. This is the unit that regulates energy as it flows into the batteries. You need it because your batteries might get overcharged or receive too much power at one time. If they break batteries are expensive to replace. Charge controllers are measured in Amps. How do we determine the amperage (number of amps) of the charge controller that we need. 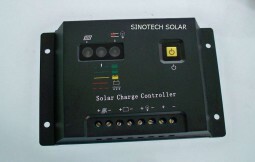 Solar panels come with amperages written either on the packaging or on the back of the panel. 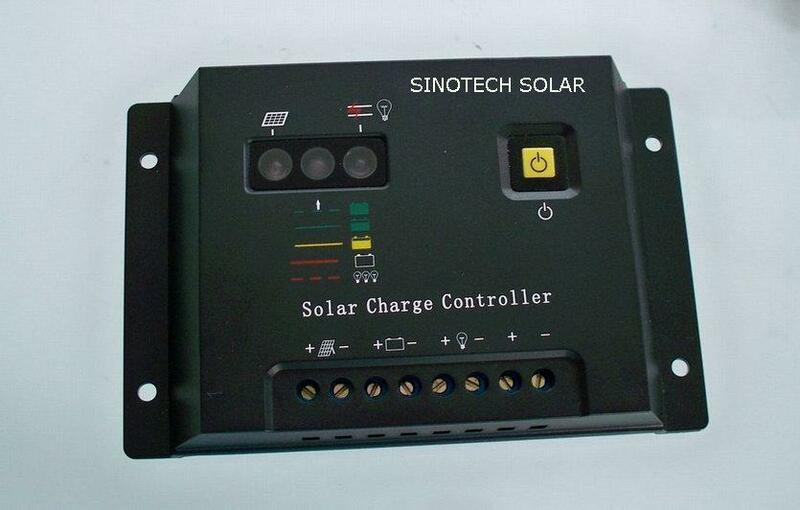 The charge controller that you need must have amperage equal to that of the solar panels added together. If you are a alternative energy person a 60W bulb is a definite NO NO. You should go as low as 10W if possible. Great article though. I am a very serious alternative energy user with the following in my 4 bed house. All lights in the house are on Solar. TV, Decorder, Radio and laptops run on solar. 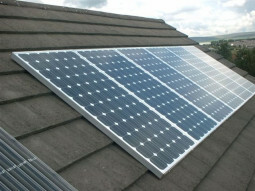 CCTV and alarm system in on Solar. My estimated savings every month from the Electricity bills is $120. Phase 1: 2 *100W panels, 4 deep cycle batteries, inverter, charge controller and the wiring. That way the cost is manageable and you see the benefit immediately. My next target is a solar borehole for my old man somewhere in rural Shurugwi. Hi May i have the reliable brands for the following items: Battery, Invertor, Panel and charge controller and possible affordable sources, and if there are any that offer credit for monthly payments. I am looking for an LED TV running on both AC/DC power. Where can I buy one? Its high time someone serious comes in and pushes solar strongly. ZESA’s service is always suspect. For solar use Deep Cycle batteries. These can with stage a discharge from full to as low as 10% without damaging the battery. Great! if you could compile lists of reputable suppliers! My experience is that if you need standby power supply, it may not be necessary to buy solar panels. 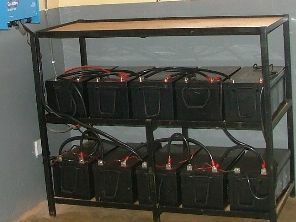 An inverter system that charges the batteries when Zesa is on and then draws down when its off will suffice. You only need solar panels if you experience prolonged power cuts on a regular basis. 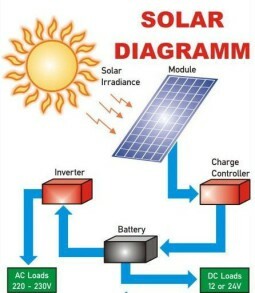 Thus the best detailed information on solar. I am tempted to go for this. Thanks for the info we need a solar power station for starters. Would need to install solar system on my home to power 6 energy saving bulbs, a TV, a decoder and a fridge. What would I need and how much is it going to cost me and please recommend a supplier if possible. We are one of leading manufacturers of solar products for more than 10 years.our main products include solar power system, LED solar lantern/lamps ,solar street lights and solar panel. E-catalog or quotation will be provided upon receiving your requests.